On December 3, 2015, Pittsburgh, Pennsylvania’s Uptown EcoInnovation District project was named one of the top 100 projects worldwide addressing climate change on a local level. The distinction was made in the Cities100 report distributed by Sustania, a sustainable development firm based in Copenhagen, Denmark. 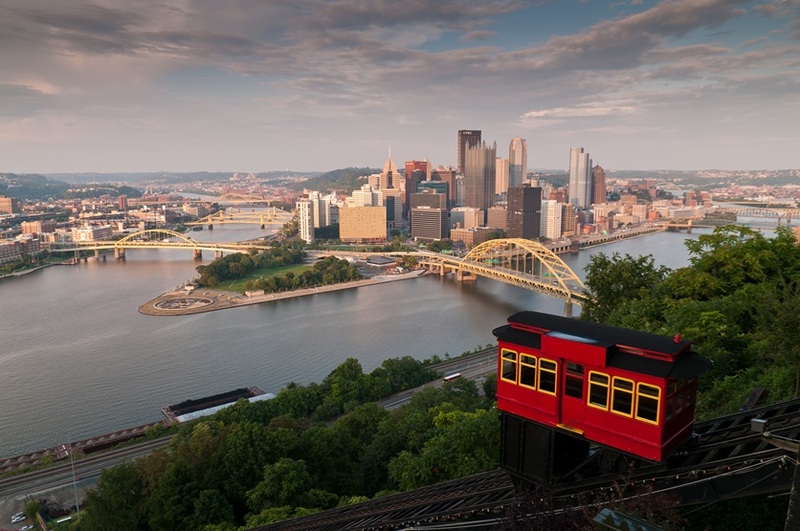 “The project will target emissions reductions along the transit corridor running through central Pittsburgh, while also focusing on making streets and public spaces safe, accessible and enjoyable,” the report says on page 152. The honor — which comes after a competitive application process — comes as Pittsburgh Mayor William Peduto is joining a global coalition of city leaders dedicated to taking climate actionthis week in Paris, in conjunction with the international COP21 climate conference. The Uptown EcoInnovation District project is positioning itself to be a leading model of civic engagement, mobility improvement, water management, and energy innovation. It is not only seeking to better connect Downtown and Oakland, but also to enhance a great network of assets within the Uptown community. The project is the product of ongoing collaboration among Allegheny County, the City of Pittsburgh, the Port Authority of Allegheny County, the Urban Redevelopment Authority of Pittsburgh, the Department of City Planning, Uptown Partners of Pittsburgh, Oakland Planning and Development Corporation, Sustainable Pittsburgh, neighborhood groups, universities and other partners. The EcoInnovation District work is being coordinated with the ongoing transit improvement study taking place along the Fifth and Forbes Avenue corridor. The Cities100 publication highlights cities that are implementing outstanding projects, programs, policies and practices to combat climate change and reduce climate risks. The competitive application process to be honored by Cities100 was conducted together with the C40 Cities Awards. See Uptown EcoInnovation District website.